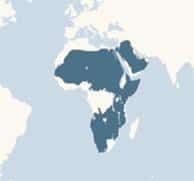 Ostriches inhabit the Sahara, Somalia, Ethiopia and parts of East and Southern Africa. They are found in sparsely wooded areas, savannah grassland or areas of semi-desert where there is sufficient grass or vegetation. The male is black with white wing tips whilst the female is brown in colour. They have two toes; one is long with a short nail whilst the other is short with no nail. They can grow up to 2.5m tall and weigh up to 155kgs. The ostrich is the world’s largest bird. Group structure: A breeding male will have a primary female partner but will allow up to 5 females to lay eggs in the nest. Each female can lay up to 14 eggs. The female’s egg is the largest of any living species with an incubation period of 42 days. Commonly the male takes the night watch on the eggs as he is better camouflaged whilst the female resembling the natural daylight terrain takes her turn during the day. Diet: Grasses, seeds and insects. 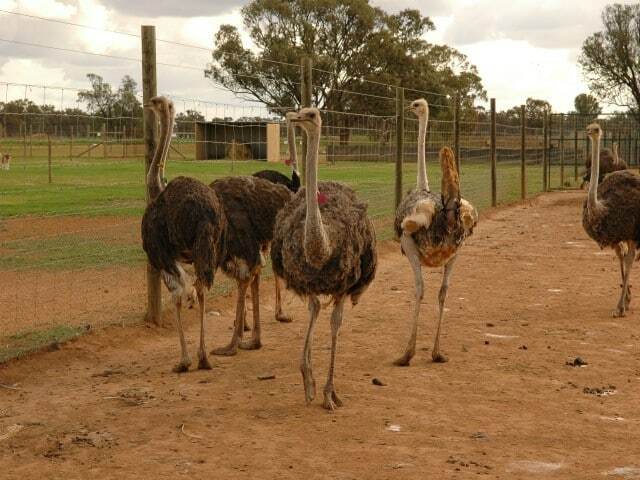 When alarmed the ostrich can sprint up to 60kms per hour. Lifespan: 50 – 70 years. 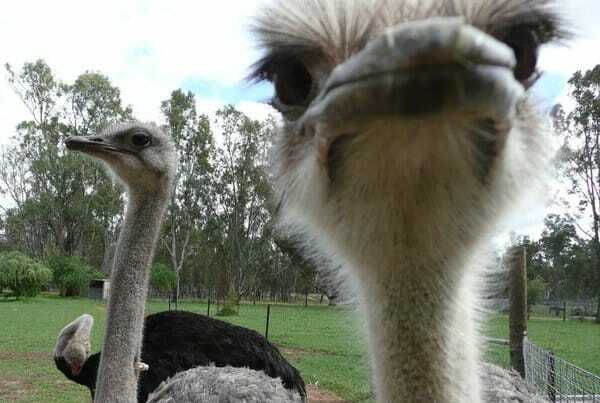 The Ostrich brain is roughly the same size as it’s eye. 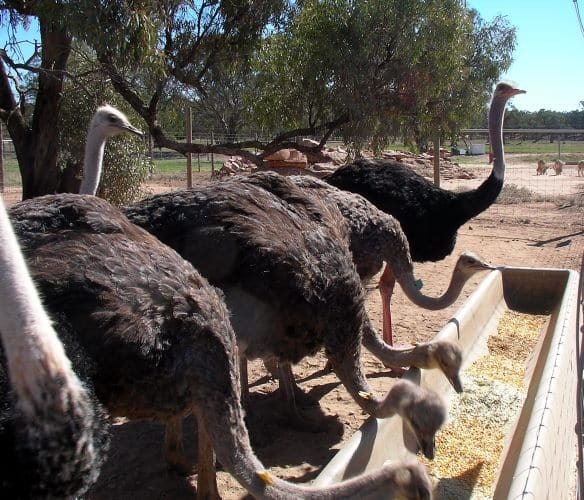 Ostrich parents fight to steal each other’s chicks with the perception of future ‘strength in numbers’.